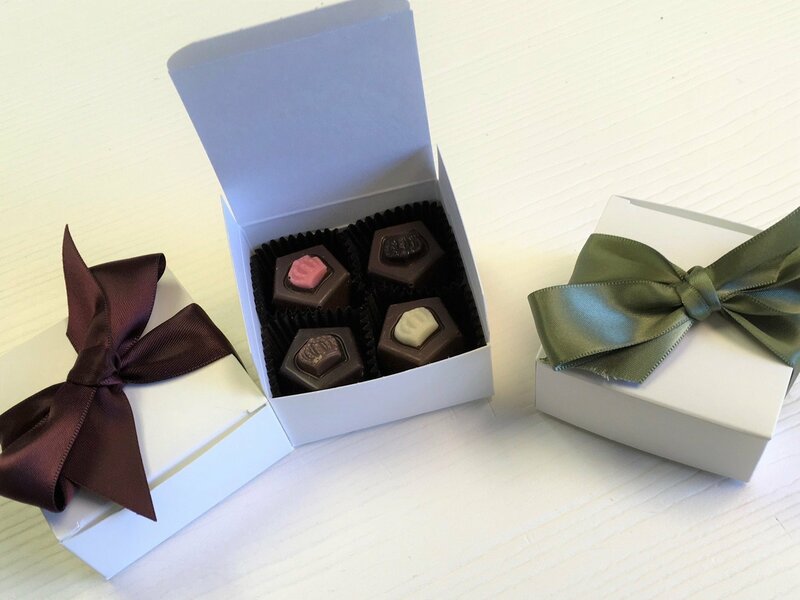 F - 25 - 4 Piece Favor Box, 2 Buttercremes, 2 Truffles (or 4 Truffles). Choice of Ribbon Color. 10 day pre order.